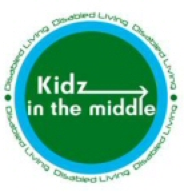 A team from Home From Home Care attended last week’s KIDZ in the Middle Event in Coventry. It was a busy day – we met and talked to over 100 parents and professionals as well as seeing our friends from Colleges and Schools that we regularly visit. Following the success of the event will shortly be booking a stand at KIDZ up North which is on 29th November 2012. We also met some fantastic solicitors who provided us with a lot of information which we want to pass on to parents so watch this space for a new section on Legal Rights and hopefully some guest blogging from experts in this area.